PHUKET: Claude de Crissey is the President of the Foreign Group of the Tourist Police, the Vice-Charge de Mission of the Chaine des Rotisseurs and the first President of the French Lions Club of Patong Beach. And if Mr de Crissey wasn’t busy enough, he was recently nominated by the French Embassy for the position of Honorary Consul in Phuket. It would be fitting if Mr de Crissey is installed as France’s next Honorary Consul here: the Royal Phawadee Hotel, where Claude now spends much of his time, as this was the residence of the first French Honorary Consul on the island, Jean Boulbet. If the appointment goes ahead, Claude plans to open a new consular office nearby Billion Plaza in Phuket town – and he dreams of creating a “French Quarter” in that area, with restaurants, cafés and buildings in a traditionally French style. Claude will also be at Phuket’s first ever French Fair, being held this weekend (November 30 to December 2) at Central Festival Phuket East (formerly Homeworks). It will also be a rare opportunity for some of the 2,600 or so French people in Phuket to meet one another – according to Claude, the French are not the most sociable of people. Claude mentioned that as a nation, the French didn’t really tend to get together to drink or watch football like other expatriate nationalities. “The Aussies go to the Aussie bar, the English used to go to the Green Man, but French people don’t really have anywhere like that,” he says. Claude reasons that this is partly down to their chosen Phuket professions. This curious and rather French dilemma means that many French residents of the island are playing host to relatively few people, despite there being over 500,000 French visitors to the island. That's a sizeable number, but it doesn't necessarily guarantee that every member of the French community will be at ease socialising with one another. “In Phuket there tends to be three distinct and separate groups that don’t really mix or identify with each other. It is probably for this reason, among the ‘desire to host’ dilemma, that the French community has more than its fair share of clubs and organisations that help them stay in touch. Activities for the time being are currently reserved to having monthly dinners – not necessarily at French restaurants – but more activities are likely to be added in the future. 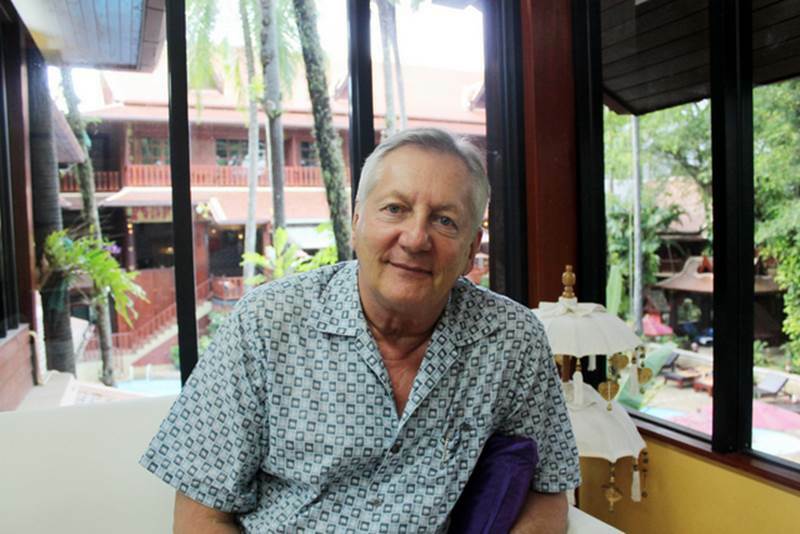 “We also opened a new Lions Club of 'Patong Plage' (beach) for French people recently – I will be the first president of that when it opens in December,” says Claude. Claude has been in Phuket for 15 years now, and says that – despite being the chairman and member of so many French organisations, clubs and communities – his mother tongue fails him at times.